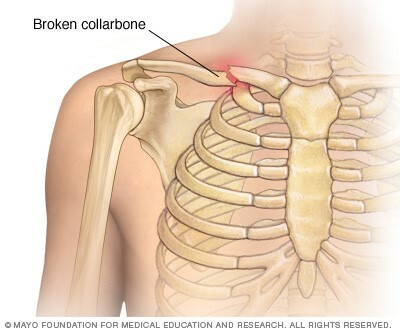 You have an accident and fracture your collarbone, so you go to a surgeon who operates to fix the fracture. After you recover from the surgery, you feel better. So you and the surgeon think the operation was a success. What could be more straightforward? But wait a minute. Perhaps you would have recovered just as well without surgery. You went to the surgeon just after the accident, when the pain was at its worst. What would it have been like if you had let the fracture heal on its own? Perhaps the surgery was unnecessary. Some medical researchers have carried out studies to determine whether particular surgical procedures have any benefit. A comparison between surgery and no surgery can be revealing, but still it doesn’t capture the possibility that having surgery makes you think you feel better, even though it didn’t do anything. One study randomly assigned patients with pain from osteoarthritis in the knee into two groups. 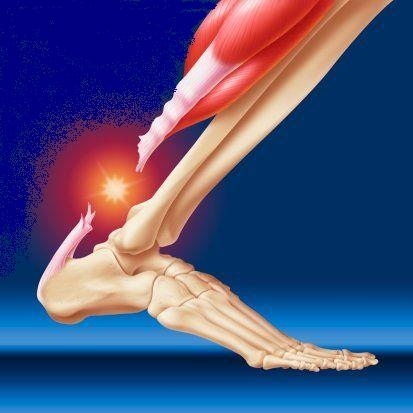 In group 1, patients had arthroscopic surgery, a minimally invasive technique, to remove arthritic spurs from the knee. 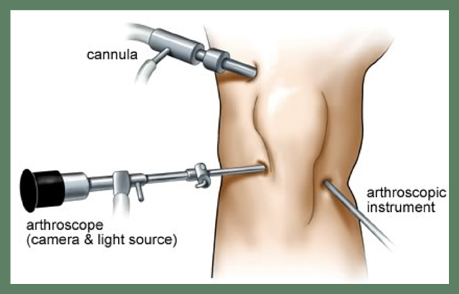 In group 2, patients had arthroscopic surgery without removing spurs: the surgeons made the incisions in just the same way as for group 1, but didn’t do anything else. Guess what? Patients in both groups improved, by about the same amount. The study showed that this particular surgical procedure had no therapeutic benefit over a fake or sham surgery. 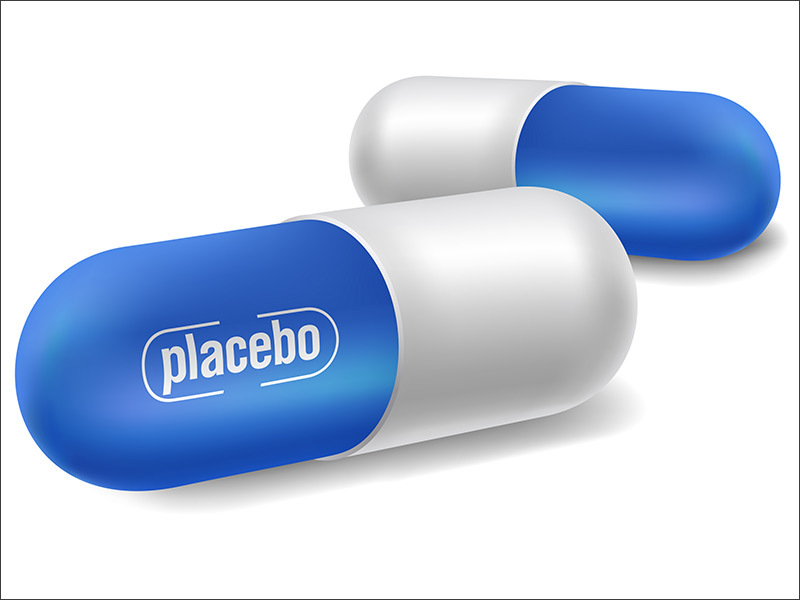 A placebo is a treatment that has no therapeutic effect. Instead of taking a pill containing a drug, instead you take a pill that you think contains the drug, but actually it just contains sugar or some inert substance. If you get better from the sugar pill, this is called a placebo effect. In the study of arthroscopic surgery for arthritic pain in the knee, patients who received the sham surgery got better: this was a placebo effect of surgery. The study showed that the only benefit of the real surgery was a placebo effect too. 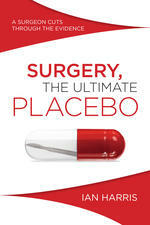 If you want to learn about this topic, read Surgery, the Ultimate Placebo by Ian Harris. It is clear and often engaging treatment by an experienced surgeon who has done research on the effectiveness of surgery. Harris thus is ideally placed to address the placebo effect in surgery. Indeed, he admits to having carried out many of the surgeries he now believes are no better than placebo. The first part of his book is a careful explanation of the placebo effect, and why it is so powerful in surgery. The placebo effect is often thought of as purely psychological: people think the treatment will make them better, and this actually makes them better. But the effect is more complicated than this. One key factor is that most people get better anyway, without any medical or other intervention. They go to a surgeon when they’re feeling worst; after surgery, they gradually feel better, but that might have happened anyway. Harris makes a strong plea for carrying out research that compares surgery with alternatives, including no treatment, physiotherapy or some other therapy. Furthermore, the research has to be rigorous, because if patients, doctors or researchers know who is getting the “real” treatment, for example the arthroscopy that removes bone spurs, this will taint the results through various forms of cognitive bias. Because of various forms of placebo effect, there is a long list of treatments used by surgeons that provide little or no benefit while causing serious harm. The problem is just as great in other medical specialties. Harris addresses surgery more than others because he knows it best. For thousands of years, doctors treated all manner of illnesses by bloodletting. They mistakenly believed disease was due to problems in the blood, so getting rid of it was the solution. Most patients recovered despite this harmful practice, so bloodletting continued. There were no double-blind trials in those centuries. However, bloodletting is only an anomaly in that it persisted so long. Since then, there have been dozens of therapies that became standard, yet there was no good evidence that they worked better than placebo. Harris provides an illuminating survey of such useless or harmful medical treatments, and then examines many currently popular surgeries, casting a sceptical eye over ones for which the evidence is thin or non-existent. Among them are back fusion surgery, surgery for multiple sclerosis, hysterectomy and caesarean section. Harris provides descriptions of the rationales for such surgeries, including biological plausibility and trials (without comparison with placebo), as well as reasons why the evidence is inadequate. His discussions are readable; references are given in a bibliography. Then Harris tackles the reasons why ineffective surgeries continue to be done. This is a social analysis, and includes factors such as self-fulfilling prophecies, the pressure on surgeons from patients to act rather than do nothing, and financial incentives. Most disturbing is that most surgeons do not want to subject their operations to experimental comparison with placebo surgery. Harris says that many surgical treatments become standard practice before they have ever been rigorously tested for effectiveness. Then, when researchers propose a comparison with placebo surgery, surgeons claim that this would be unethical, because there can be no benefit to the patients randomly assigned to the placebo operation. Harris spends considerable effort countering this objection, arguing that actually it is more unethical to continue with thousands of operations for which there is no good evidence of effectiveness. Part of the problem is a double standard in relation to research and clinical practice. Researchers, to undertake a study, have to submit their proposals to review boards that examine the ethics involved. 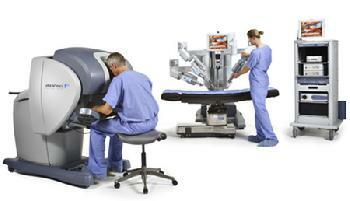 However, surgeons can initiate a new approach to a condition without any scrutiny. As Harris notes, asking patients how they feel after an operation requires ethics approval but undertaking the operation does not. The result is that many new surgical treatments become common practice without any good research to back them up, and rigorous studies are deterred by the ethics approval process. Harris has been presenting his views to surgeons for some time, and many of them are resistant. They present all sorts of arguments to continue their usual surgical practice. One of them is that if there’s a placebo effect benefit from surgery, well that’s fine. 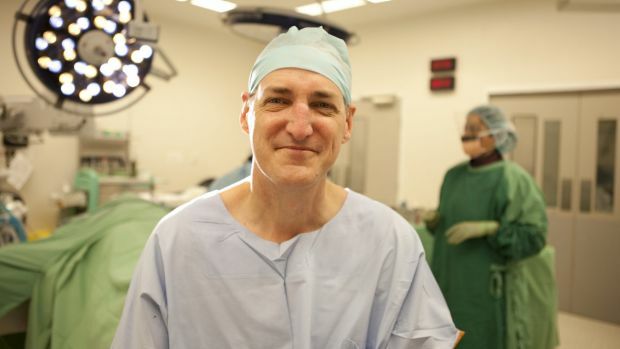 “Believe it or not, this is a commonly used argument: if people are getting better after surgery anyway, that’s great – the fact that the placebo group also got better is no reason to stop doing the surgery.” (p. 235) Harris subjects this view to withering criticism, saying that performing ineffective operations is deceptive, costly and harmful. Then there is the question of what to do about ineffective surgery. Harris has advice for patients, doctors, researchers, funders and society at large, all sensible. But change will be difficult due to patient expectations, the self-interest of surgeons, and entrenched double standards concerning clinical practice and research. Ultimately, Harris is committed to a scientific approach, and wants it applied to surgery just like it is applied to alternative therapies, about which he is dismissive. “I applaud the work of sceptical societies, but they have one flaw: they rarely (if ever) turn their scepticism towards mainstream medicine. I guess it would muddy their attacks on alternative medicine and their position that mainstream medicine is science-based” (pp. 270-271). Harris has rare courage: he is someone on the inside willing to cast a critical spotlight on professional business as usual. In writing Surgery, the Ultimate Placebo, he is taking his criticisms, usually presented in scientific forums, to a general audience. It will be interesting to see whether this succeeds, as he hopes, in speeding the uptake of scientific findings in surgery. In the meantime, anyone contemplating surgery can benefit from this readable and informative analysis.